Ok, so you’ve tackled the basics of skincare, THE Essentials you should be doing every day for healthy glowing skin…as a reminder they are: Cleanse, Hydrate, and Protect. Do you feel like you have your skincare routine under control? Have you been washing your face twice daily? Are you getting your all-important youth maintaining sunscreen on? If these steps have been challenging for you – no judgment, these things take time to become habitual, so just keep at it. You will get there. And remember, I am just an email away to support you on the journey. And if you need a little extra support, here are a couple of resources for you to use to inspire you and make your life easier. If you feel you have really crushed those first steps perhaps you are begging for something more, something that will really make a difference, something that steps up your skincare game. The next level to your skincare essentials is … wait for it…. I know that you’ve heard of serums, and I’m sure many of you have used serums, and I am positive most of you have serums in your medicine cabinet. What I am also absolutely sure about is, you have no idea what the serum is called, why you are using and what benefit it has for you. At some point, you were out shopping and someone at Sephora or Nordstrom (or you read on Instagram) that serums were important and you should get one ASAP. So you did. But then you felt the overwhelm of yet another mysterious product and you put it on your shelf and walked away. I am here to take the mystery out of serums and help you determine what serum you should have in your arsenal. The one I will introduce you to today is super simple and appropriate for everyone. You remember that I mentioned in my last blog post that I used to work in the film industry and my job required me to be outside A LOT. And when I finally started seeing the damage that was being done to my skin from lack of sleep and poor skincare habits, I shifted my attention to repairing and caring for my skin. Make no mistake it was a slow start. But once I started cleansing my skin, applying moisturizer and making sure I was wearing sunscreen I saw a dramatic improvement and was ready to start adding in additional steps. The first thing that was recommended to me by my esthetician at the time was to “add a Vitamin C Serum”. Boom. Mind Blown. Vitamin C fixes everything…well almost, let’s not get carried away. But it really does do quite a bit. It can prevent as well as rebuild, in addition to helping at the moment. Let’s do a crash course on serums. Serums are lightweight formulation with ingredients that are more concentrated than available in any other type of product ie: your moisturizer or cleanser. The ingredients are generally formulated to laser target one specific concern. Serums are water based, not oil based. There is a place in one’s skincare for facial oils, but let’s not get them confused with serums. A serum’s lightweight formulation and limited ingredient deck allows the product to provide ingredients that have a smaller molecular structure giving it the room to penetrate the skin cells without any confusion from other ingredients. That’s not to say when you read the list of ingredients on a serum it will be shorter, but it does mean that it is only using one specific active ingredient to get results and perhaps a bunch of other ingredients to help it work. So the serum that will literally help anyone, all of you, no matter what kind of skin you have or what your particular concerns are is Vitamin C.
Vit C is a powerful antioxidant that helps to fight skin damage caused by sun and pollution. It can brighten the skin tone, firm by assisting in rebuilding collagen, improve hydration and give the skin a healthy youthful glow. It’s strong enough to repair the damage the skin has already endured and smart enough to protect against damage the skin is susceptible to. Anyone and everyone can use it because of its lightweight texture. It won’t aggravate or cause breakouts. And it is beneficial for all other concerns. Pro Tip: If you feel a punch or a stingly (stinging or tingly) sensation when applying Vitamin C, discontinue use and speak to a skincare professional – like me. Your skin could be too sensitive to use it or it could be formulated incorrectly. I recommend using it in the morning. Under your moisturizer and sunscreen. You will still benefit if you use it at night under your moisturizer but since VitC can actually give your skin a visible glow I like to show it off during the day when people will be looking at my skin. Pro Tip: Use it or lose it. 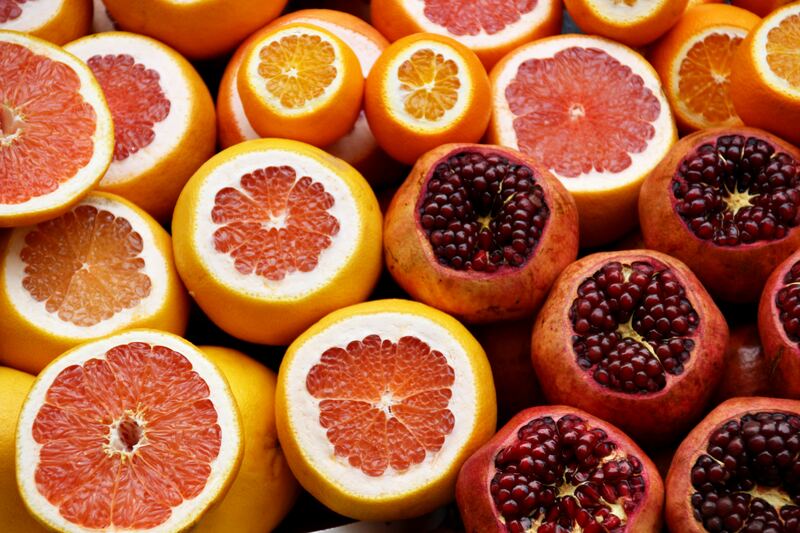 If you hoard your Vitamin C it will turn dark brown over time. At that point you should toss it, it’s no longer effective and could potentially cause a reaction. As you get more comfortable using skincare products you will see how quick it is to apply products, but if you need a hack because you are still frustrated by the time commitment of skincare (or you’re frazzled by the order in which to apply products), just pump the Vit C serum into the palm of your hand along with your moisturizer and sunscreen. Apply all of it to the face. Get You a Vitamin C Serum! 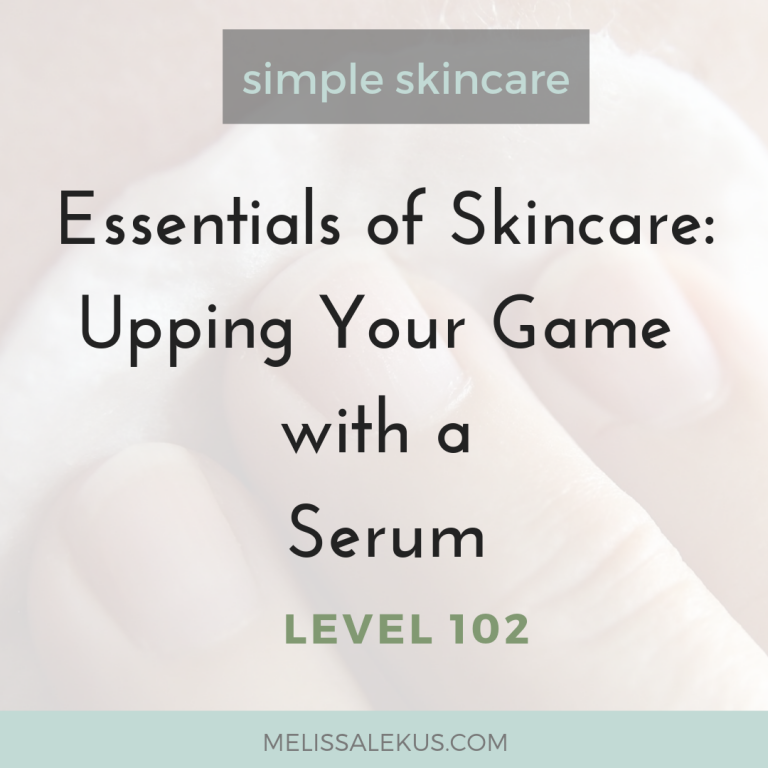 I hope you feel a little more confident about “upping your skincare game” and know how awesome a serum – specifically a Vitamin C serum – is for helping you achieve and maintain healthy, glowing skin. Want to know which Vitamin C YOU should use, ***get in touch for a free mini-consult*** and I’ll help you get the VitC product that will make your skin GLOOOW! So there we have it. Stepping up your skincare game, improving the health of your skin and still keeping it easy.